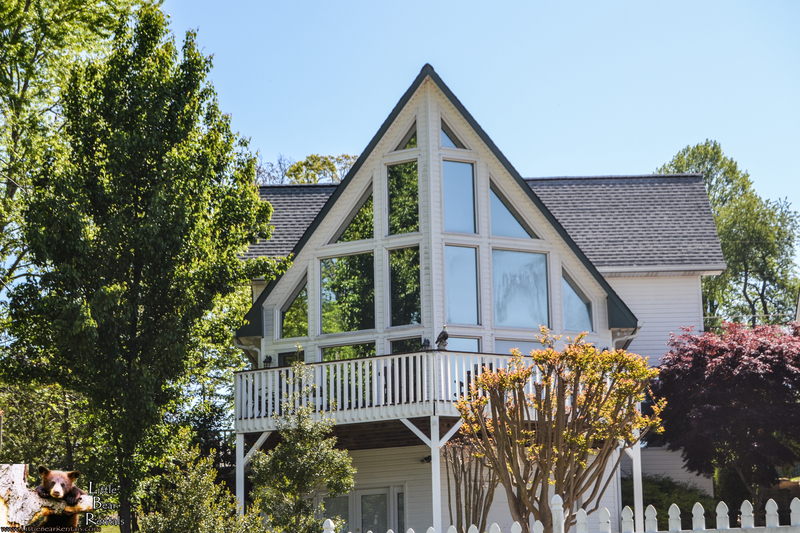 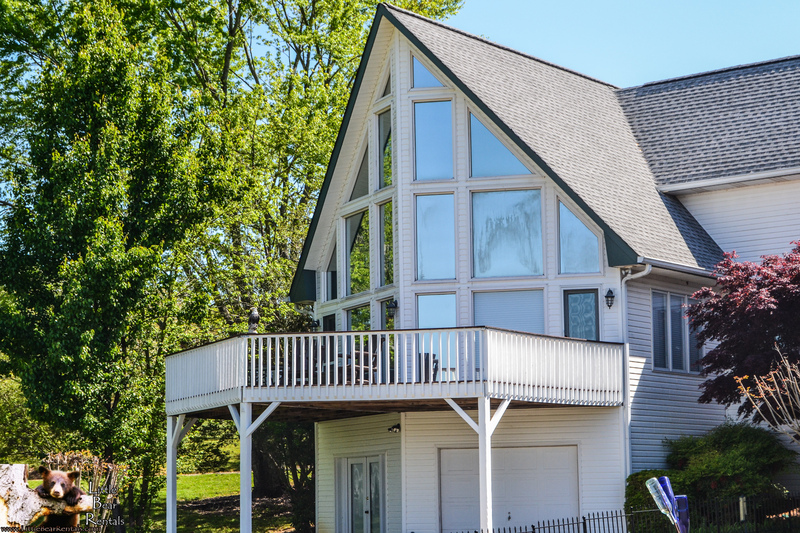 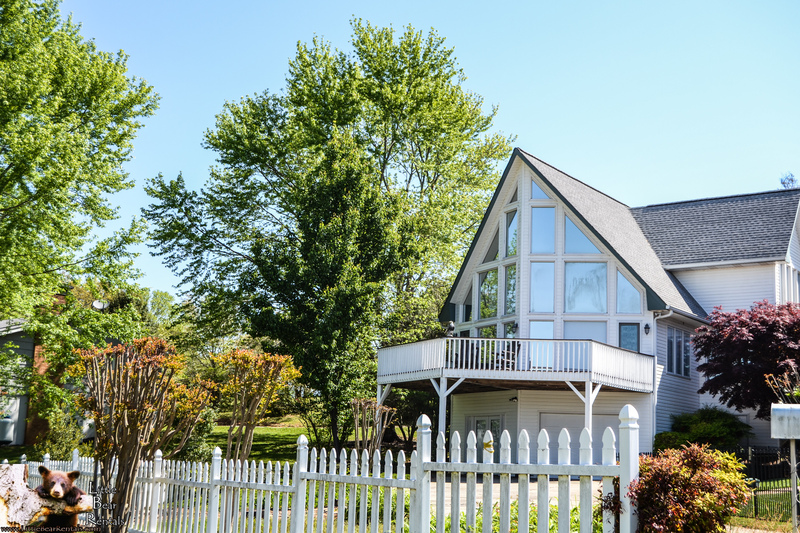 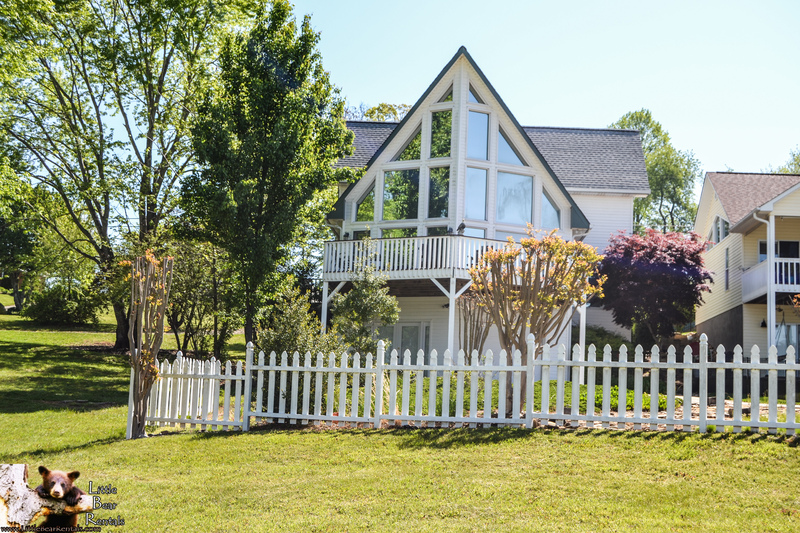 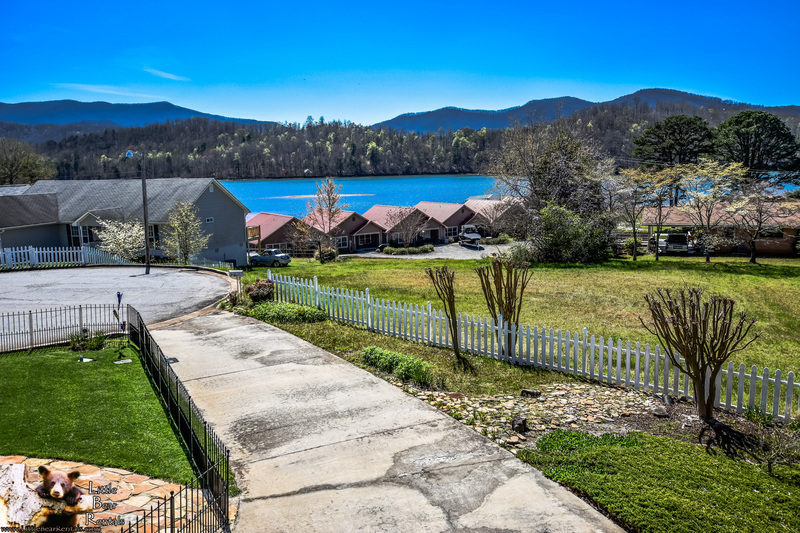 Spend your next family vacation in the Georgia mountains and stay at this 4-bedroom, 3-bathroom vacation rental in Hiawassee. 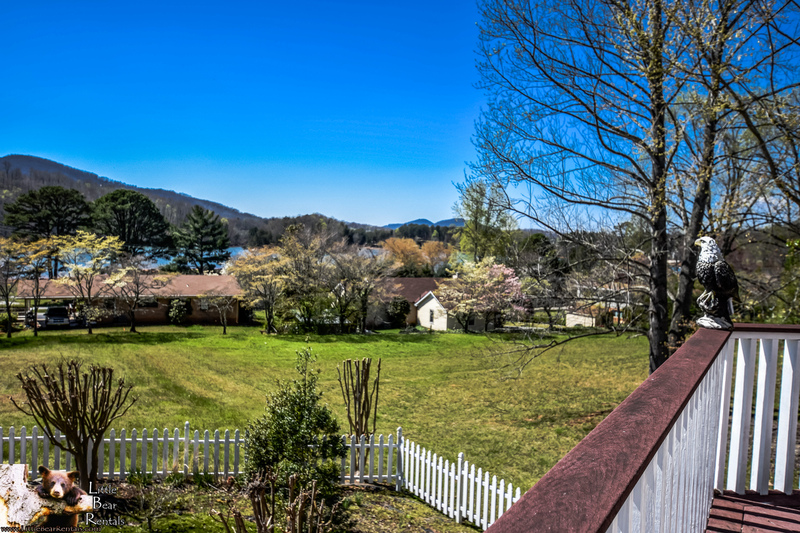 This wonderful home boasts amazing views of Lake Chatuge and the North Georgia Mountains. 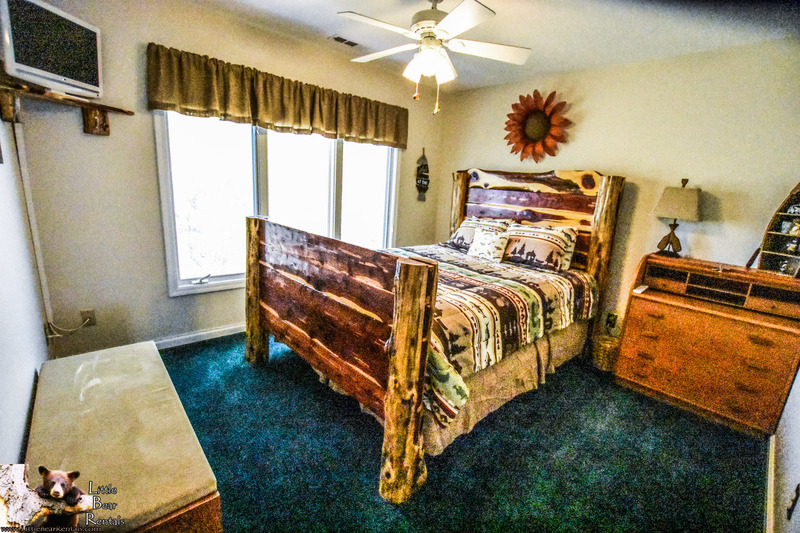 It comfortably sleeps up to 8 guests. 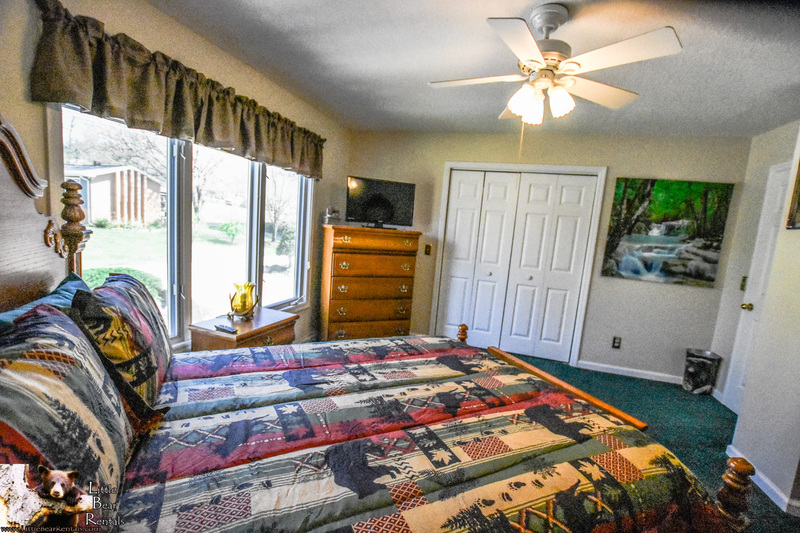 PROMO: Rent for 5 nights and get the 6th night free! 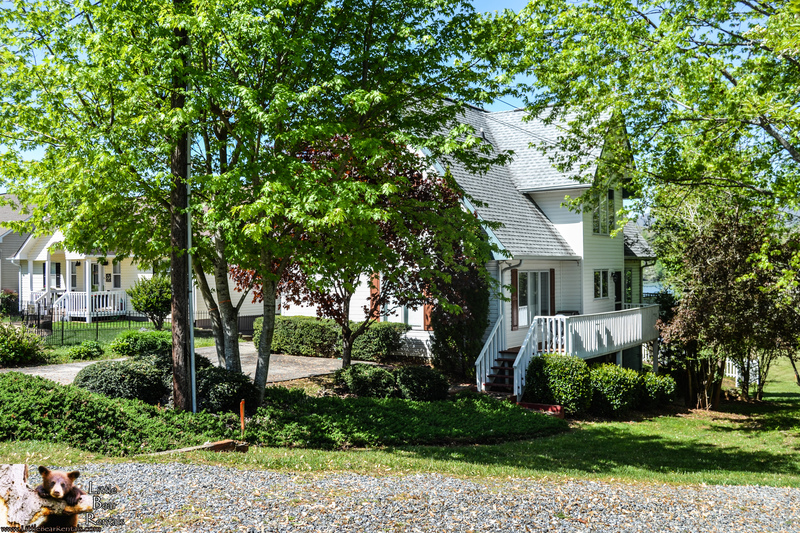 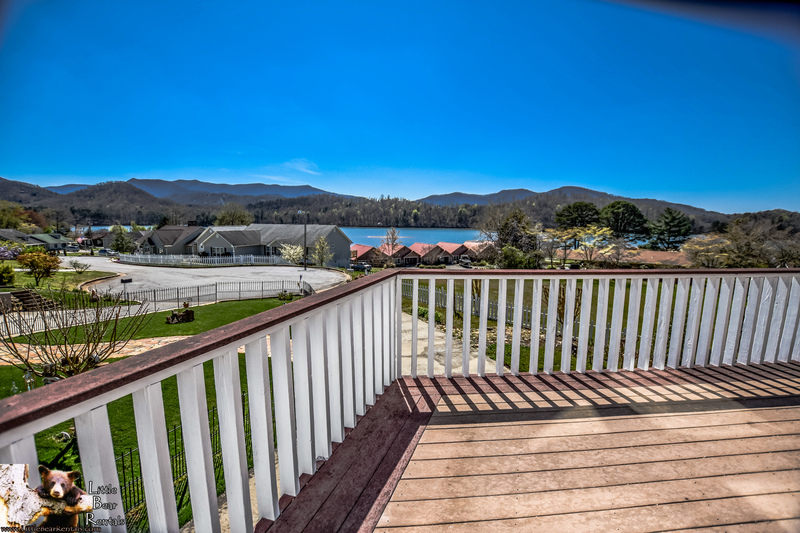 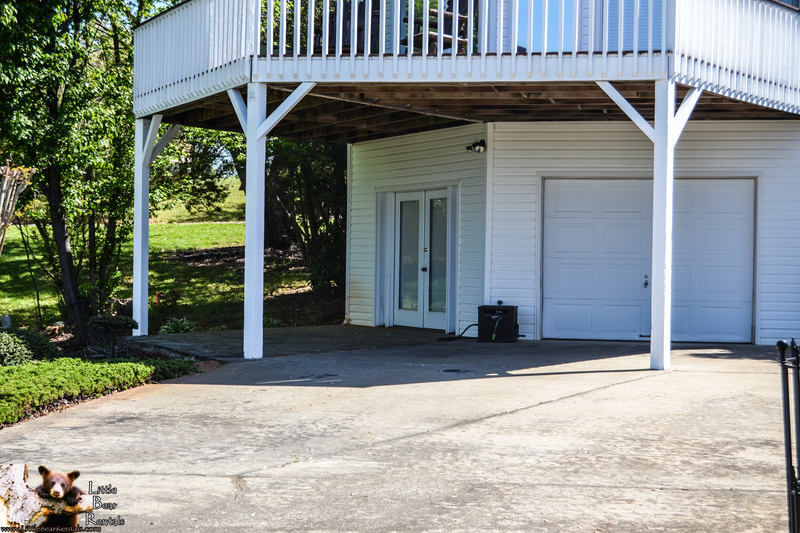 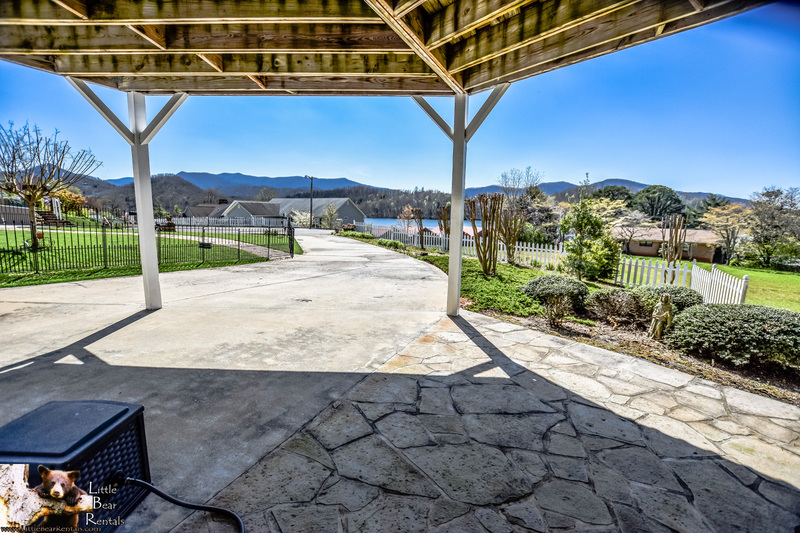 By the lake... with mountain views... and street-level paved roads... only minutes from the heart of Hiawassee? 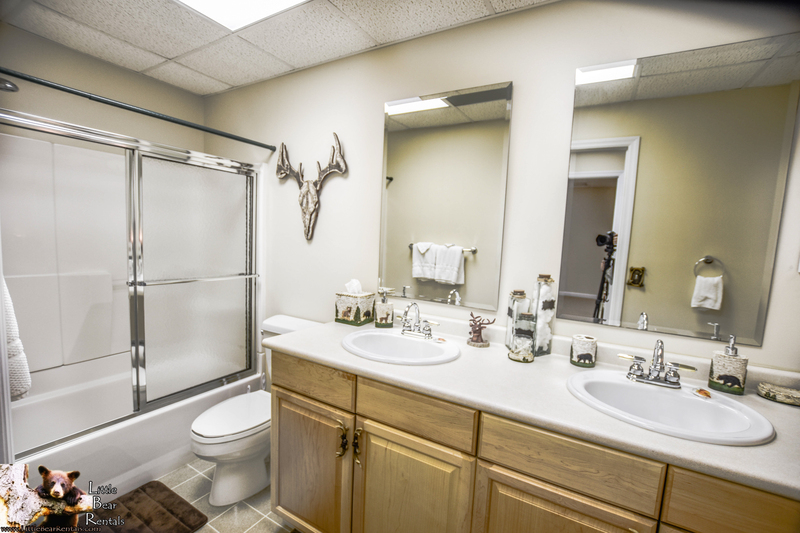 Yes, you CAN have it all right here at Waterview! 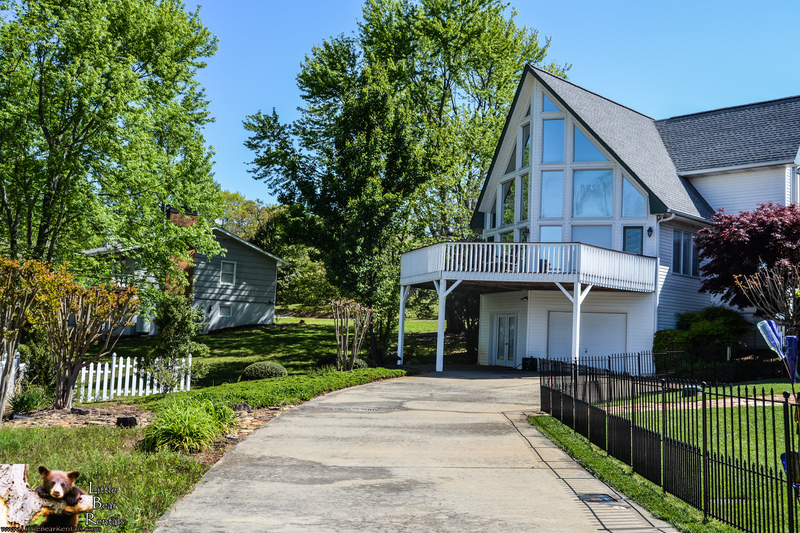 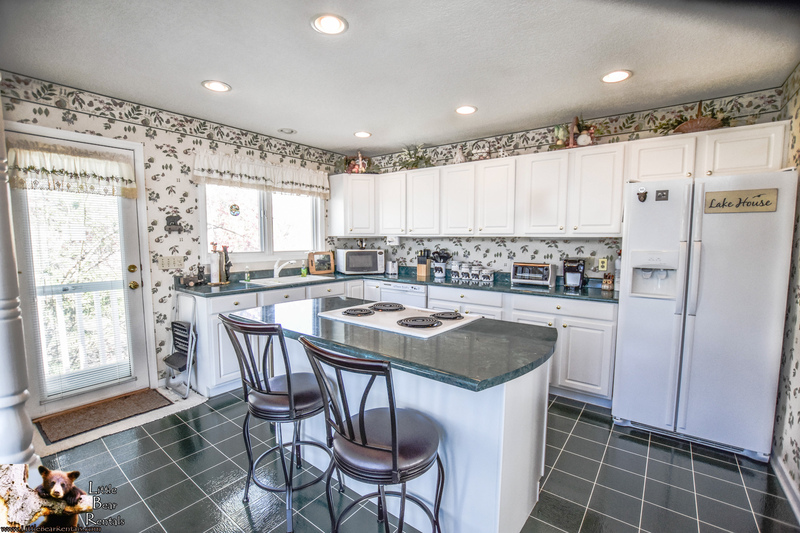 This gem of a home is like walking on sunshine as soon as you enter the front door. 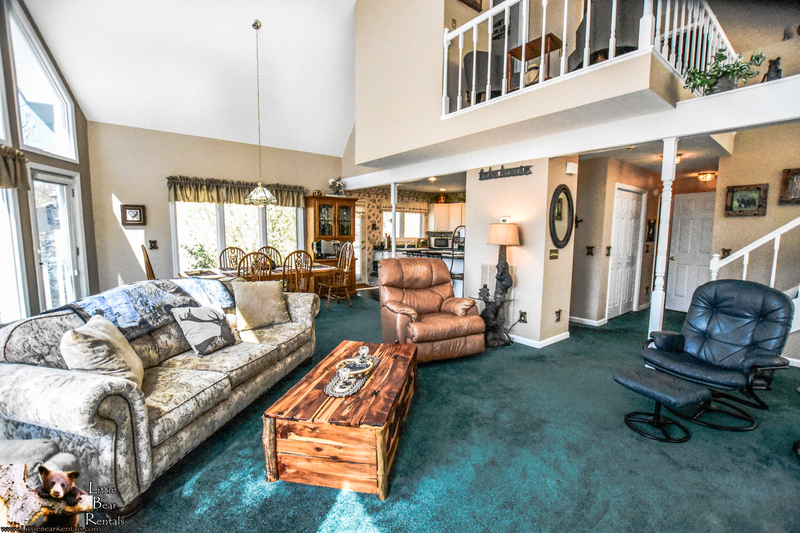 Vaulted ceilings with windows for miles showcase everything you come to the mountains for. 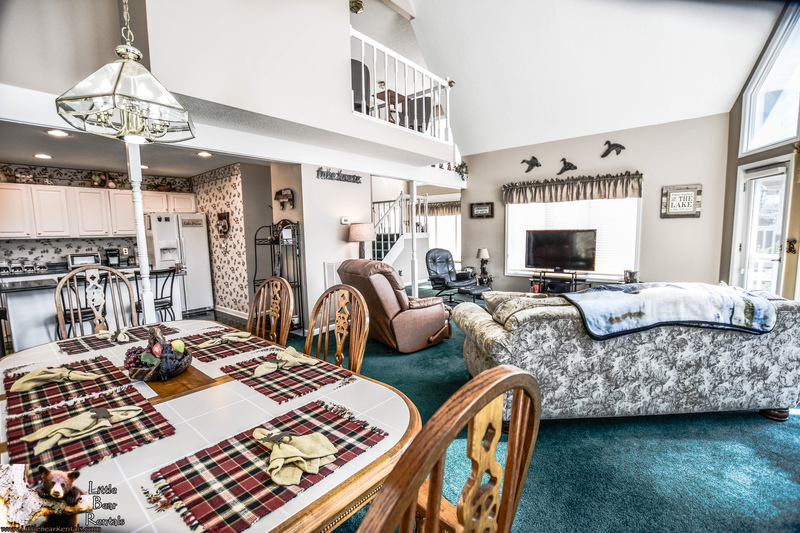 A cozy family room with a flat-screen TV opens up to an expansive dining room with seating for 6 and a fully-equipped, tastefully decorated kitchen where culinary magic is just waiting to happen. 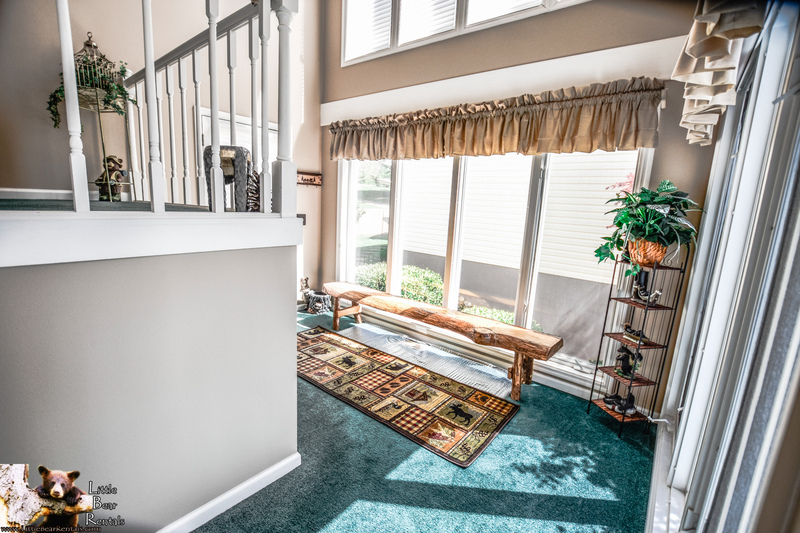 Stroll out onto the expansive deck from either the family room or the dining room, and you'll know you're right where you belong. 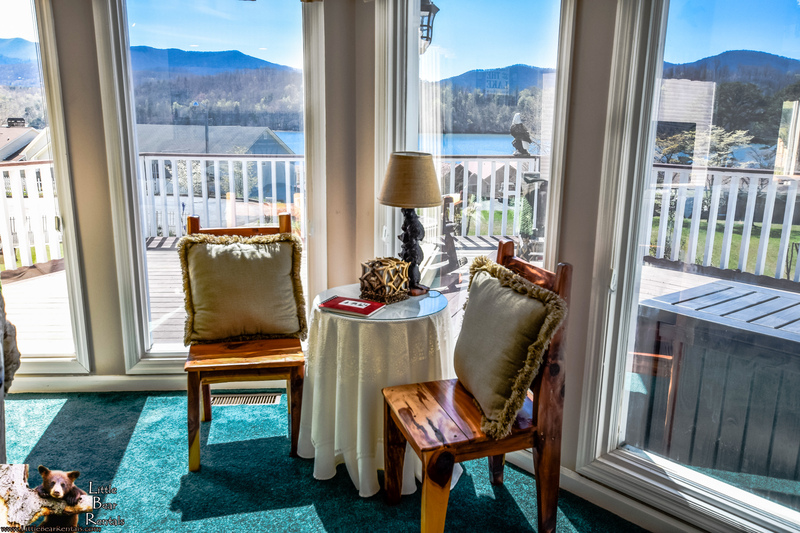 Take a deep breath of the fresh mountain air as you enjoy the sparkling waters of Lake Chatuge and the majestic mountain vistas. 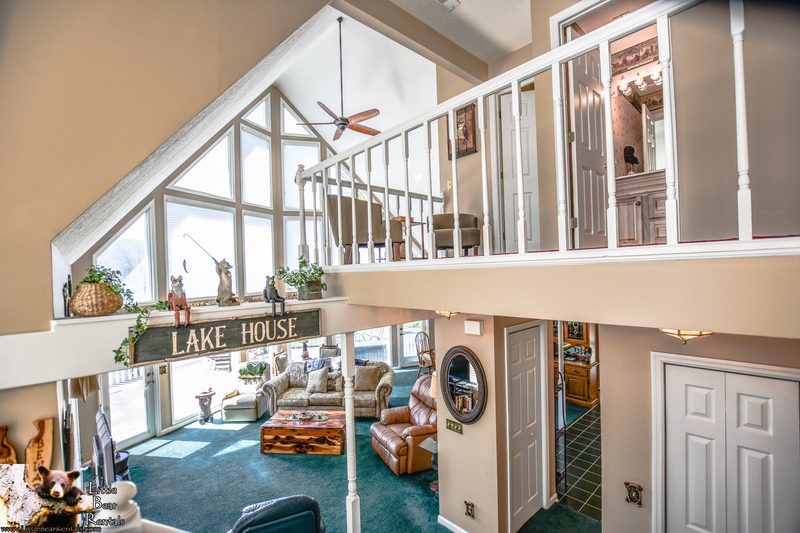 It really is heaven on Earth. 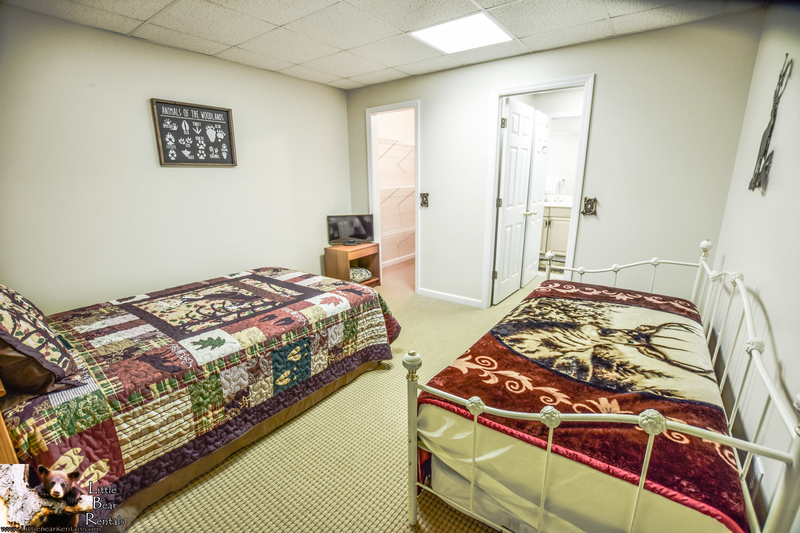 The main-floor bedroom has a King bed and a bathroom just outside the door. 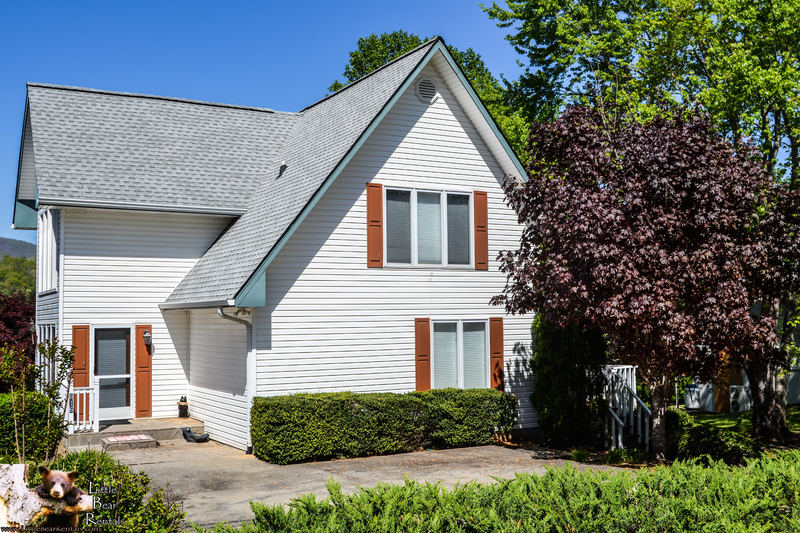 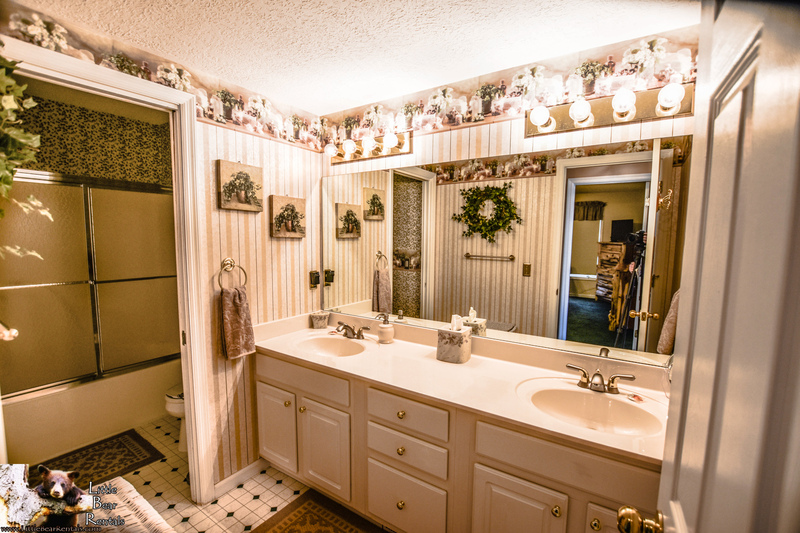 Upstairs features 2 bedrooms, each with a Queen bed, and a detached full bathroom. 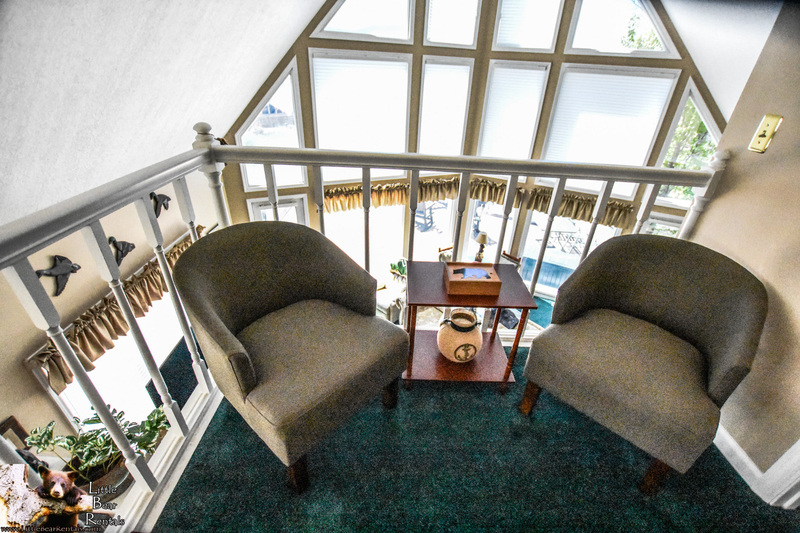 The terrace-level bedroom a has a Twin daybed and a Full bed with an en-suite bathroom. 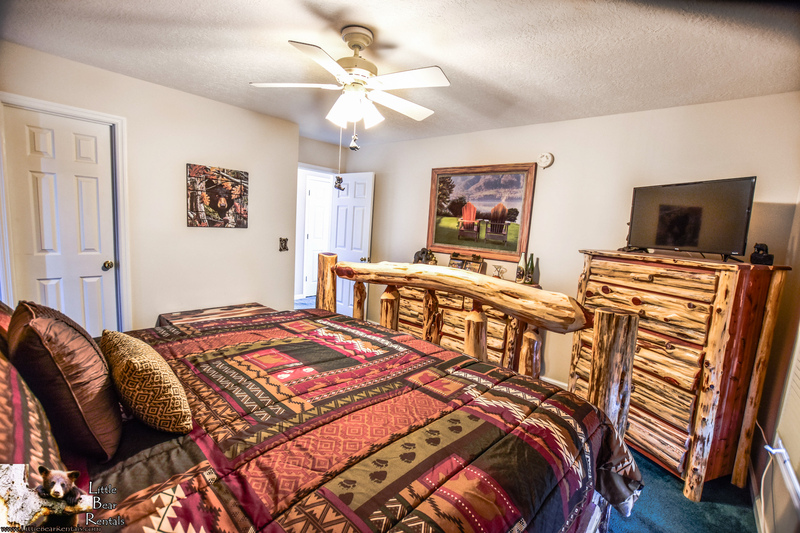 Every bedroom has a TV. 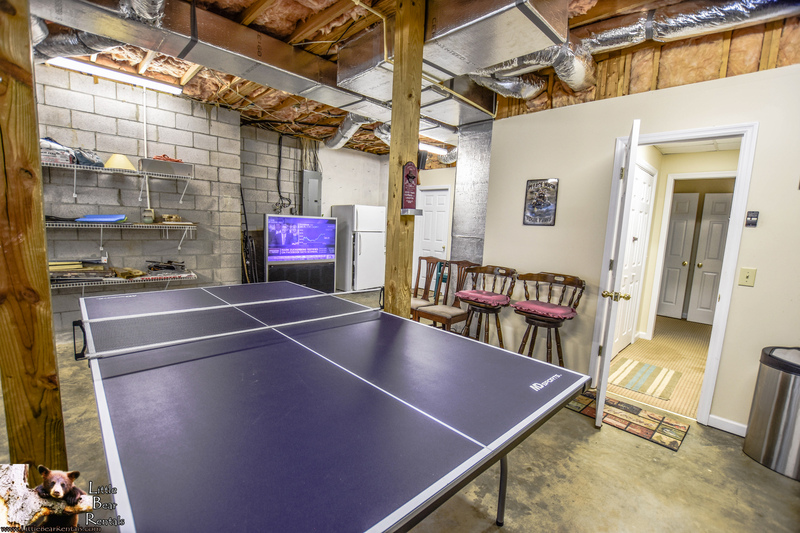 The terrace level also features a ping pong table as well as a large-screen TV. 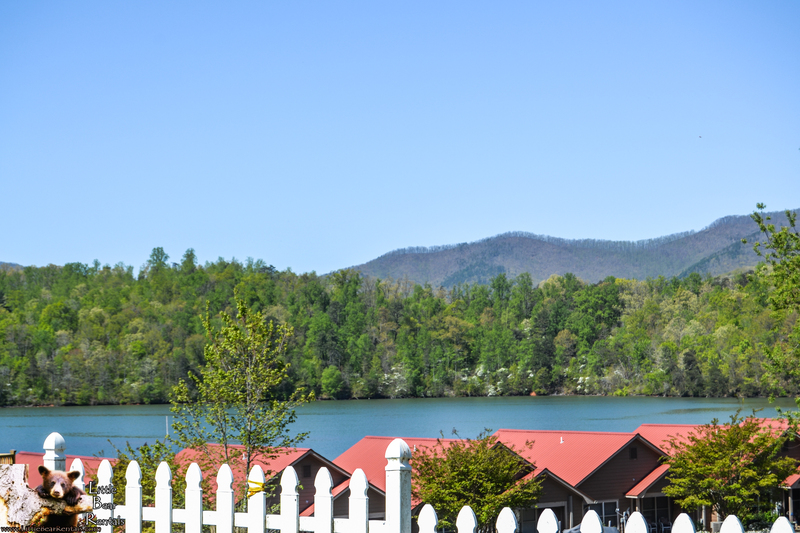 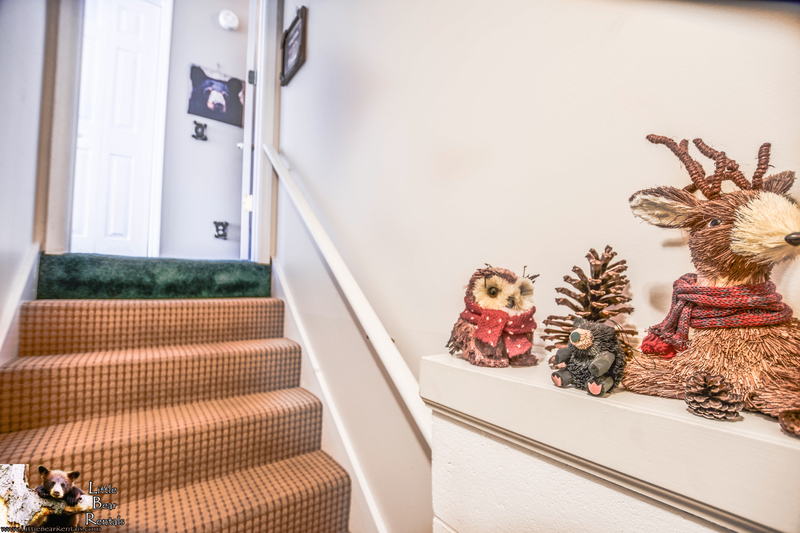 There's little doubt you'll get what you came to the North Georgia mountains for when you book your stay at Waterview!